I was excited to fly US Airway's Envoy business class to Madrid. However US Airways didn't share my excitement and oversold business class. I tried to board and on scanning my boarding pass, the agent said I didn't have a seat anymore and directed me to the gate podium to discuss my options. This was shocking because I had a boarding pass with seat assignment issued five hours earlier in Denver. Flabbergasted, I walked to an agent to discuss my options. The gate agents were awful. I spent a long time discussing why there were more business class passengers than seats and why I was selected to be denied boarding. I was told I lost my seat because business class was oversold, the aircraft was changed, I was not checked in, general reservations issues, I upgraded with miles, US Airways and United weren’t partners anymore, the reservation wasn’t valid, and 016 tickets aren’t valid on US Airways. I was able to refute these implausible (or factually wrong) explanations and demanded I be accommodated on another flight in business class. 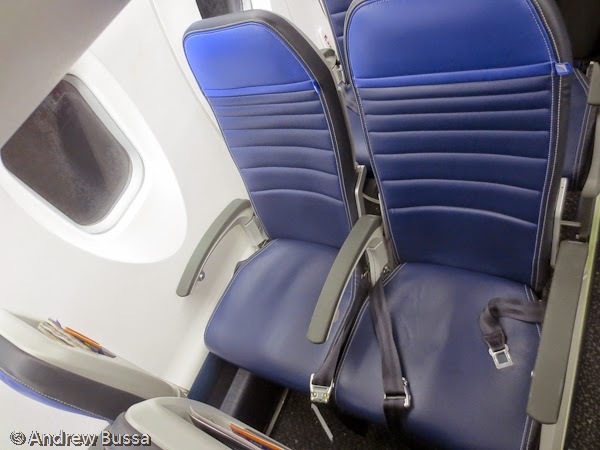 No other business class options were available or the agents only looked for coach seats. Also no refund or compensation was offered because the reservation was booked with United Airlines miles and the gate agents said they weren’t responsible for United Airlines tickets. The agents refused to look for business class options on other carriers and generally wasted time talking with themselves while other flights to Europe left and limited my options. They repeatedly provided false information, like United had refunded the ticket or it was never valid. 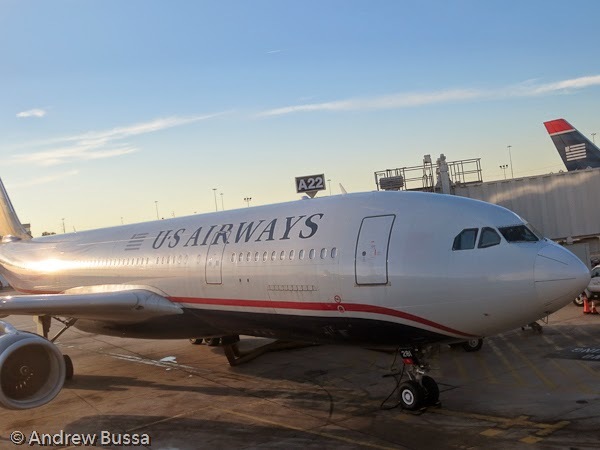 The best US Airways would offer was a coach flight to London, then coach to Madrid. They also tossed in $20 in food vouchers. This was unacceptable. I called United and the phone agent had some choice words for the US Airways staff. She also found a late departing Lufthansa flight from Chicago with business class award space (old style business class like on the A340-600). Even better, there were flights from PHL to ORD and FRA to MAD with award space too. She changed the reservation and I raced to the other end of the airport to get a boarding pass and board my new flight. My time in Philadelphia was absolutely miserable and now I'm boycotting US Airways and American Airlines.